Enjoy a beautiful meal at Sugarcane located inside the Venetian. 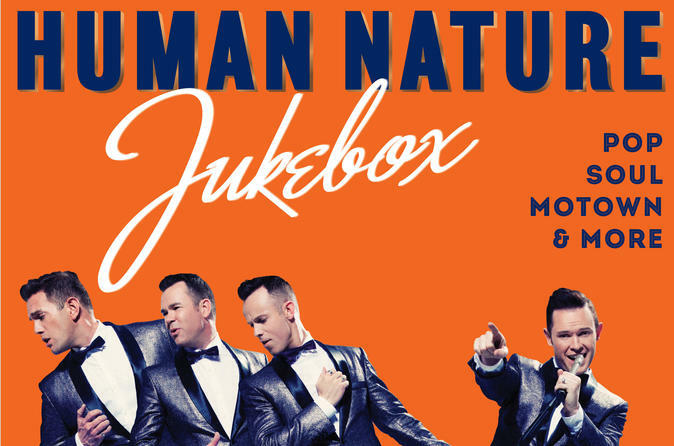 Then experience one of the world’s finest pop vocal groups of the modern era - Human Nature Jukebox. This is the perfect combination to ensure you have a great night out in Las Vegas! First, enjoy your dinner at Sugarcane at 5pm. You'll enjoy a 5-tapas meal including raw bar item, small plate, open fire grill item, large plate, and dessert. Beverages are available to purchase. Please see below for a sample menu. Following dinner, head to the Sands Showroom for your 7:00pm show. Jukebox takes audiences on an unforgettable journey through the genres. Starting with the classics of the Doo-Wop era, Human Nature pays tribute to the legends of Motown & Soul and carries through to today’s breakout sensations. They’ll even bring out your inner teenage fan girl with favorite boy band Pop hits that’ll have the ladies swooning. Anticipate everything from “Under the Boardwalk” to “Uptown Funk”.